Car trackers have really played a major role in ensuring that stolen vehicles are retrieved. This is because the police are sent the signal and are able to track your car down until they recover it. Car tracking systems have really increased the safety of vehicles and also led to a reduction in insurance premiums. Therefore, while choosing a car tracking system for your vehicle, select the best one which will ensure the retrieval of your stolen car is done easily and the car is recovered quickly. Below are some of the factors to look out for before purchasing the best car tracker for your car. - Research different tracking systems for cars and decide on your budget - there are several car trackers in the market and they vary in prices in regards to the features and brand that they're made of. Others are costly, while some cheaper options are available too. Depending on your budget, you can select the best car tracker within your range. - Carry out a research and identify which are the best car trackers in the market - conduct a research on which ones are the best performing car trackers in the market. You can find out from the police, peoples reviews and also compare pamphlets of car trackers from different companies. By doing so, you ensure that you get the best car tracker for the safety of your car and have a peace of mind. - Select a tracker that has all the features that you need - select a car tracker that has the features that you need. Some trackers might have so many features that you don't require and will end up increasing your bill. For instance, some car trackers work as alarms which you might not necessarily need at the moment. The company will require you to pay fees for monitoring service which is a bit costly. Talk to our expert team for advice while selecting the best car tracker for your car. Features such as car trackers that are hidden and cannot be recognized are very good as thieves cannot identify them easily. - Ensure that the car tracker you choose is able to monitor you in all locations that you go - in the situation of your car being stolen and taken abroad, some car trackers lack a GPS to monitor your car outside the country. Consider this before buying one. Also, some trackers cannot be able to access all areas or require you to report the car as stolen before they activate the signal. With us, you don't have to worry about such cases as we are accessible and have signals even outside the country. - Get to know if the car tracking systems has any additional costs - Find out if the car tracker has some additional costs before buying it. Some car trackers charge monitoring costs which are associated with alarms. Our trackers have no any hidden costs and we let you know in advance in case there are such costs. 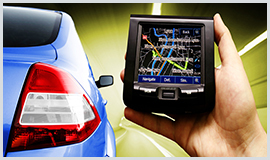 Car trackers UK offers some of the best tracking systems in the country. Take your time and select the best car tracking system that has all the features that you want and one that will make the retrieval of your car to be easy and fast. Car trackers UK works handy with the authorities and has the latest technology in car tracking systems. That's why we have recovered more cars than most of the other tracking companies around the UK. Save your car by purchasing a car tracking system from us. For more information, you can visit our offices or call us.